With faster cars and softer tyres, Pirelli’s head of car racing Mario Isola is predicting Formula 1 could see another lap record fall this weekend at Suzuka. Kimi Raikkonen holds the all-time lap record at the Japanese track having posted a 1:31.540 back in 2005. This year, though, Pirelli reckon that could be shattered. Not only have aerodynamic rules for 2017 made for faster cars but Pirelli have also brought their supersoft tyres to Suzuka this weekend. “The Japanese Grand Prix continues the trend we’ve seen so far this year of bringing softer, and therefore faster, tyres to several grands prix compared to last season,” said Isola. 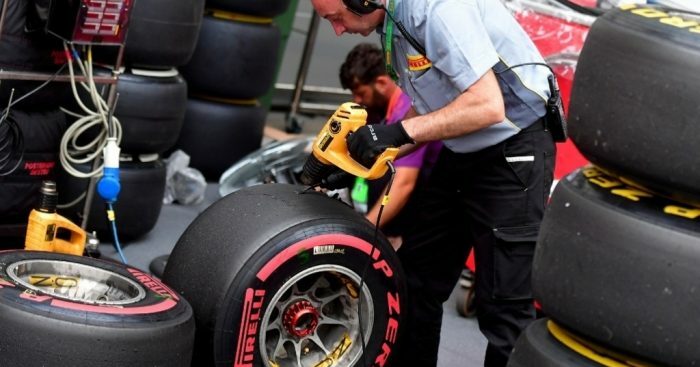 “In the case of Suzuka, this is particularly pertinent as it’s one of the most challenging tracks for tyres of the entire year, with a very big emphasis on lateral loads that can cause thermal degradation if the tyres are not properly managed.